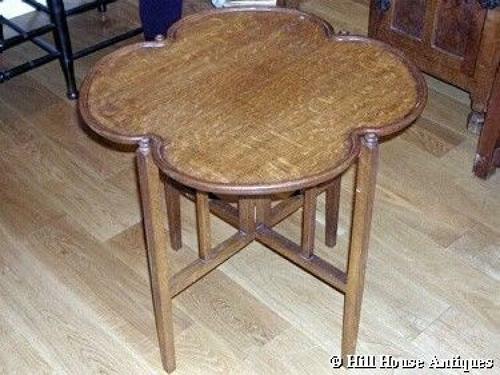 Arthur Simpson of Kendal Arts & Crafts oak four leaf clover tray top table; on folding base. Nice quality. Better images to follow. Approx 2ft high and 2ft across top.